They are super moist and taste DELICIOUS. I adapted it from this recipe but substituted honey for the coconut sugar because I wanted the recipe to be naturally sweetened. I also just decided to skip the other steps and throw everything in together because I am an efficiency expert (aka lazy, haha). 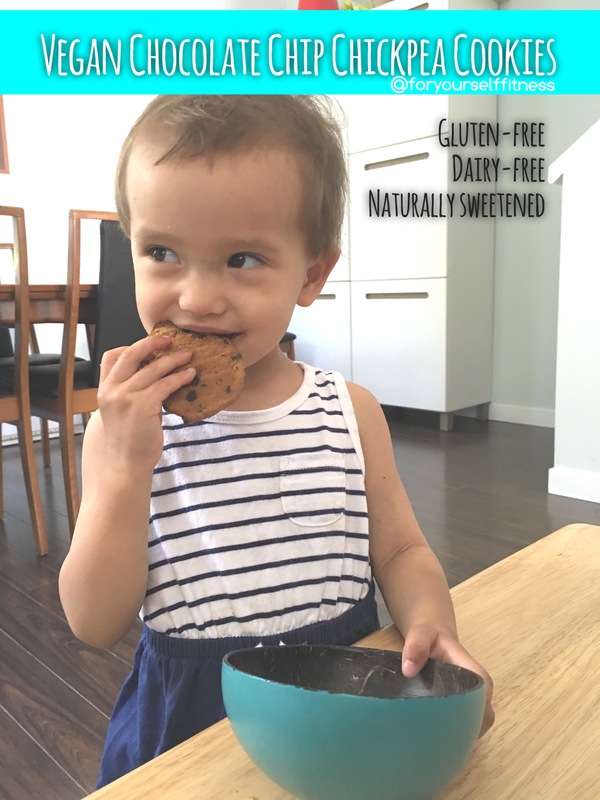 It is also lactose-free, gluten-free as well as husband approved and toddler tested! 1. Preheat oven to 350 degrees. Line 2 cookie sheets with parchment paper. Set aside. 2. If you are making oat flour, throw the oats in your blender now and pulse away. 3. Throw everything else, except chocolate chips, in. Blend until smooth. 5. Drop onto prepared baking sheets by the tablespoon full. 6. Bake for 18-20 minutes. Allow to cool before serving (or not). 2 cookies is considered a treat yellow container if you’re doing the 21 Day Fix.